In the matter of improving our state apparatus, the Workers’ and Peasants’ Inspection should not, in my opinion, either strive after quantity or hurry. We have so far been able to devote so little thought and attention to the efficiency of our state apparatus that it would now be quite legitimate if we took special care to secure its thorough organisation, and concentrated in the Workers’ and Peasants’ Inspection a staff of workers really abreast of the times, i.e., not inferior to the best West-European standards. For a socialist republic this condition is, of course, too modest. But our experience of the first five years has fairly crammed our heads with mistrust and scepticism. These qualities assert themselves involuntarily when, for example, we hear people dilating at too great length and too flippantly on "proletarian" culture. For a start, we should be satisfied with real bourgeois culture; for a start we should be glad to dispense with the crude types of pre-bourgeois culture, i.e., bureaucratic culture or serf culture, etc. In matters of culture, haste and sweeping measures are most harmful. Many of our young writers and Communists should get this well into their heads. Thus, in the matter of our state apparatus we should now draw the conclusion from our past experience that it would be better to proceed more slowly. Our state apparatus is so deplorable, not to say wretched, that we must first think very carefully how to combat its defects, bearing in mind that these defects are rooted in the past, which, although it has been overthrown, has not yet been overcome, has not yet reached the stage of a culture, that has receded into the distant past. I say culture deliberately, because in these matters we can only regard as achieved what has become part and parcel of our culture, of our social life, our habits. We might say that the good in our social system has not been properly studied, understood, and taken to heart; it has been hastily grasped at; it has not been verified or tested, corroborated by experience, and not made durable, etc. Of course, it could not be otherwise in a revolutionary epoch, when development proceeded at such break-neck speed that in a matter of five years we passed from tsarism to the Soviet system. It is time we did something about it. We must show sound scepticism for too rapid progress, for boastfulness, etc. We must give thought to testing the steps forward we proclaim every hour, take every minute and then prove every second that they are flimsy, superficial and misunderstood. The most harmful thing here would be haste. The most harmful thing would be to rely on the assumption that we know at least something, or that we have any considerable number of elements necessary for the building of a really new state apparatus, one really worthy to be called socialist, Soviet, etc. No, we are ridiculously deficient of such an apparatus, and even of the elements of it, and we must remember that we should not stint time on building it, and that it will take many, many years. What elements have we for building this apparatus? Only two. First, the workers who are absorbed in the struggle of socialism. These elements are not sufficient educated. They would like to build a better apparatus for us, but they do not know how. They cannot build one. They have not yet developed the culture required for this; and it is culture that is required. Nothing will be achieved in this by doing things in a rush, by assault, by vim or vigour, or in general, by any of the best human qualities. Secondly, we have elements of knowledge, education and training, but they are ridiculously inadequate compared with all other countries. Here we must not forget that we are too prone to compensate (or imagine that we can compensate) our lack of knowledge by zeal, haste, etc. In order to renovate our state apparatus we must at all costs set out, first, to learn, secondly, to learn, and thirdly, to learn, and then see to it that learning shall not remain a dead letter, or a fashionable catch-phrase (and we should admit in all frankness that this happens very often with us), that learning shall really become part of our very being, that it shall actually and fully become a constituent element of our social life. In short, we must not make the demands that were made by bourgeois Western Europe, but demands that are fit and proper for a country which has set out to develop into a socialist country. The conclusion to be drawn from the above are the following: we must make the Workers’ and Peasants’ Inspection a really exemplary institution, an instrument to improve our state apparatus. In order that it may attain the desired high level, we must follow the rule: "Measure your cloth seven times before you cut." For this purpose, we must utilise the very best of what there is in our social system, and utilise it with the greatest caution, thoughtfulness and knowledge, to build up the new People’s Commissariat. For this purpose, the best elements that we have in our social system- such as, first, the advanced workers, and, second, the really enlightened elements for whom we can vouch that they will not take the word for the deed, and will not utter a single word that goes against their conscience- should not shrink from admitting any difficulty and should not shrink from any struggle in order to achieve the object they have seriously set themselves. We have been bustling for five years trying to improve our state apparatus, but it has been mere bustle, which has proved useless in these five years, of even futile, or even harmful. This bustle created the impression that we were doing something, but in effect it was only clogging up our institutions and our brains. It is high time things were changed. I know that it will be hard to keep to this rule and apply it under our conditions. I know that the opposite rule will force its way through a thousand loopholes. I know that enormous resistance will have to be put up, that devilish persistence will be required, that in the first few years at least work in this field will be hellishly hard. Nevertheless, I am convinced that only by such effort shall we be able to achieve our aim; and that only by achieving this aim shall we create a republic that is really worthy of the name of Soviet, socialist, and so on, and so forth. Many readers probably thought that the figures I quoted by way of illustration in my first article [ How We Should Reorganise the Workers’ and Peasants’ Inspection] were too small. I am sure that many calculations may be made to prove that they are. But I think that we must put one thing above all such and other calculations, i.e., our desire to obtain really exemplary quality. I think that the time has at last come when we must work in real earnest to improve our state apparatus and in this there can scarcely be anything more harmful than haste. That is why I would sound a strong warning against inflating the figures. In my opinion, we should, on the contrary, be especially sparing with figures in this matter. Let us say frankly that the People’ s Commissariat of the Workers’ and Peasants’ Inspection does not at present enjoy the slightest authority. Everybody knows that no other institutions are worse organised than those of our Workers’ and Peasants’ Inspection, and that under present conditions nothing can be expected from this People’s Commissariat. We must have this firmly fixed in our minds if we really want to create within a few years an institution that will, first, be an exemplary institution, secondly, win everybody’s absolute confidence, and, thirdly, prove to all and sundry that we have really justified the work of such a highly placed institution as the Central Control Commission. In my opinion, we must immediately and irrevocably reject all general figures for the size of office staffs. We must select employees for the Workers’ and Peasants’ Inspection with particular care and only on the basis of the strictest test. Indeed, what is the use of establishing a People’s Commissariat which carries on anyhow, which does not enjoy the slightest confidence, and whose word carries scarcely any weight? I think that our main object in launching the work of reconstruction that we now have in mind is to avoid all this. First, they must be recommended by several Communists. Second, they must pass a test for knowledge of our state apparatus. Third, they must pass a test in the fundamentals of the theory of our state apparatus, in the fundamentals of management, office routine, etc. Fourth, they must work in such close harmony with the members of the Central Control Commission and with their own secretariat that we could vouch for the work of the whole apparatus. I know that these requirements are extraordinarily strict, and I am very much afraid that the majority of the "practical" workers in the Workers’ and Peasants’ Inspection will say that these requirements are impracticable, or will scoff at them. But I ask any of the present chiefs of the Workers’ and Peasants’ Inspection, or anyone associated with that body, whether they can honestly tell me the practical purpose of a People’s Commissariat like the Workers’ and Peasants’ Inspection? I think this question will help them recover their sense of proportion. Either it is not worth while having another of the numerous reorganisations that we have had of this hopeless affair, the Workers’ and Peasants’ Inspection, or we must really set to work, by slow, difficult and unusual methods, and by testing these methods over and over again, to create something really exemplary, something that will win the respect of all and sundry for its merits, and not only because of its rank and title. If we do not arm ourselves with patience, if we do not devote several years to this task, we had better not tackle it at all. In my opinion we ought to select a minimum number of the higher labour research institutes, etc., which we have baked so hastily, see whether they are organised properly, and allow them to continue working, but only in a way that conforms to the high standards of modern science and gives us all its benefits. If we do that it will not be utopian to hope that within a few years we shall have an institution that will be able to perform its functions, to work systematically and steadily on improving our state apparatus, an institution backed by the trust of the working class, of the Russian Communist Party, and the whole population of our Republic. The spade-work for this could begin at once. If the People’s Commissariat of the Workers’ and Peasants’ Inspection accepted the present plan of reogranisation, it could not take the preparatory steps and work methodically until the task is completed, without haste, and not hesitating to alter what has already been done. Any half-hearted solution would be extremely harmful in this matter. A measure for the size of the staff of the Workers’ and Peasants’ Inspection based on any other consideration would, in fact, be based on the old bureaucratic considerations, on old prejudices, on what has already been condemned, universally ridiculed, etc. Either we prove now that we have really learned something about state organisation (we ought to have learned something in five years), or we prove that we are not sufficiently mature for it. If the latter is the case, we had better not tackle the task. I think that with the available human material it will not be immodest to assume that we have learned enough to be able to systematically rebuild at least one People’s Commissariat. True, this one People’s Commissariat will have to be the model for our entire state apparatus. We ought to at once announce a contest in the compilation of two or more textbooks on the organisation of labour in general, and on management in particular. We can take as a basis the book already published by Yermansky, although it should be said in parentheses that he obviously sympathises with Menshevism and is unfit to compile textbooks for the Soviet system. We can also take as a basis the recent book by Kerzhentsev, and some of the other partial textbooks available may be useful too. We ought to send several qualified and conscientious people to Germany, or to Britain, to collect literature and to study this question. I mention Britain in case it is found impossible to send people to the U.S.A. or Canada. We ought to appoint a commission to draw up the preliminary programme of examinations for prospective employees of the Workers’ and Peasants’ Inspection; ditto for candidates to the Central Control Commission. These and similar measures will not, of course, cause any difficulties for the People’s Commissar or the collegium of the Workers’ and Peasants’ Inspection, or for the Presidium of the Central Control Commission. Simultaneously, a preparatory commission should be appointed to select candidates for membership of the Central Control Commission. I hope that we shall now be able to find more than enough candidates for this post among the experienced workers in all departments, as well as among the students of our Soviet higher schools. It would hardly be right to exclude one or another category beforehand. Probably preference will have to be given to a mixed composition for this institution, which should combine many qualities, and dissimilar merits. Consequently, the tasks of drawing up the list of candidates will entail a considerable amount of work. For example, it would be least desirable for the staff of the new People’s Commissariat to consist of people of one type, only of officials, say, or for it to exclude people of the propagandist type, or people whose principal quality is sociability or the ability to penetrate into circles that are not altogether customary for officials in this field, etc. I think I shall be able to express my idea best if I compare my plan with that of academic institutions. Under the guidance of their Presidium, the members of the Central Control Commission should systematically examine all the paper and documents of the Political Bureau. Moreover, they should divide their time correctly between various jobs in investigating the routine in our institutions, form the very small and privately-owned offices to the highest state institutions. And lastly, their functions should include the study of theory, i.e., the theory of organisation of the work they intend to devote themselves to, and practical work under the guidance of other comrades or of teachers in the higher institutes for the organisation of labour. I do not think, however, that they will be able to confine themselves to this sort of academic work. In addition, they will have to prepare themselves for working which I would not hesitate to call training to catch, I will not say rouges, but something like that, and working out special ruses to screen their movements, their approach, etc. If such proposals were made in West-European government institutions they would rouse frightful resentment, a feeling of moral indignation, etc. ; but I trust that we have not become so bureaucratic as to be capable of that. NEP has not yet succeeded in gaining such respect as to cause any of us to be shocked at the idea somebody may be caught. Our Soviet Republic is of such recent construction, and there are such heaps of the old lumber still lying around that it would hardly occur to anyone to be shocked at the idea that we should delve into them by means of ruses, by means of investigations sometimes directed to rather remote sources or in a roundabout way. And even if it did occur to anyone to be shocked by this, we may be sure that such a person would make himself a laughing-stock. Let us hope that our new Workers’ and Peasants’ Inspection will abandon what the French call pruderie, which we may call ridiculous primness, or ridiculous swank, and which plays entirely into the hands of our Soviet and Party bureaucracy. Let it be said in parentheses that we have bureaucrats in our Party offices as well as in Soviet offices. When I said above that we must study and study hard in institutes for the higher organisation of labour, etc., I did not by any means imply "studying" in the schoolroom way, nor did I confine myself to the idea of studying only in the schoolroom way. I hope that not a single genuine revolutionary will suspect me of refusing, in this case, to understand "studies" to include resorting to some semi-humourous trick, cunning device, piece of trickery or something of that sort. I know that in the staid and earnest states of Western European such an idea would horrify people and that not a single decent official would even entertain it. I hope, however, that we have not yet become as bureaucratic as all that and that in our midst the discussion of this idea will give rise to nothing more than amusement. Indeed, why not combine pleasure with utility? Why not resort to some humourous or semi-humorous trick to expose something ridiculous, something harmful, something semi-ridiculous, semi-harmful, etc.? It seems to me that our Workers’ and Peasants’ Inspection will gain a great deal if it undertakes to examine these ideas, and that the list of cases in which our Central Control Commission and its colleagues in the Workers and Peasants’ Inspection achieved a few of their most brilliant victories will be enriched by not a few exploits of our future Workers’ and Peasants’ Inspection and Central Control Commission members in places not quite mentionable in prim and staid textbooks. How can a Party institution be amalgamated with a Soviet institution? Is there not something improper in this suggestion? I do not ask these questions on my own behalf, but on behalf of those I hinted at above when I said that we have bureaucrats in our Party institutions as well as in the Soviet institutions. But why, indeed, should we not amalgamate the two if this is in the interests of our work? Do we not all see that such an amalgamation has been very beneficial in the case of the People’s Commissariat of Foreign Affairs, where it was brought about at the very beginning? Does not the Political Bureau discuss from the Party point of view many questions, both minor and important, concerning the "moves" we should make in reply to the "moves" of foreign powers in order to forestall their, say, cunning, if we are not to use a less respectable term? Is not this flexible amalgamation of a Soviet institution with a Party institution a source of great strength in our politics? I think that what has proved its usefulness, what has been definitely adopted in our foreign politics and has become so customary that it no longer calls forth any doubt in this field, will be at least as appropriate (in fact, I think it will be much more appropriate) for our state apparatus as a whole. The functions of the Workers’ and Peasants’ Inspection cover our state apparatus as a whole, and its activities should affect all and every state institution without exception: local, central , commercial, purely administrative, educational, archival, theatrical, etc.- in short, all without any exception. Why then should not an institution, whose activities have such wide scope, and which moreover requires such extraordinary flexibility of forms, be permitted to adopt this peculiar amalgamation of a Party control institution with a Soviet control institution? I see no obstacles to this. What is more, I think that such an amalgamation is the only guarantee of success in our work. I think that all doubts on this score arise in the dustiest corners of our government offices, and that they deserve to be treated with nothing but ridicule. Another doubt: is it expedient to combine educational activities with official activities? I think that it is not only expedient, but necessary. Generally speaking, in spite of our revolutionary attitude towards the West-European form of state, we have allowed ourselves to become infected with a number of its most harmful and ridiculous prejudices; to some extent we have been deliberately infected with them by our dear bureaucrats, who counted on being able again and again to fish in the muddy waters of these prejudices. And they did fish in these muddy waters to so great an extent that only the blind among us failed to see how extensively this fishing was practised. In all spheres of social, economic and political relationships we are "frightfully" revolutionary. But as regards precedence, the observance of the forms and rites of office management, our "revolutionariness" often gives way to the mustiest routine. On more than one occasion, we have witnessed the very interesting phenomenon of a great leap forward in social life being accompanied by amazing timidity whenever the slightest changes are proposed. This is natural, for the boldest steps forward were taken in a field which was long reserved for theoretical study, which was promoted mainly, and even almost exclusively, in theory. The Russian, when away from work, found solace from bleak bureaucratic realities in unusually bold theoretical constructions, and that is why in our country these unusually bold theoretical constructions assumed an unusually lopsided character. Theoretical audacity in general constructions went hand in hand with amazing timidity as regards certain very minor reforms in office routine. Some great universal agrarian revolution was worked out with an audacity unexampled in any other country, and at the same time the imagination failed when it came to working out a tenth-rate reform in office routine; the imagination, or patience, was lacking to apply to this reform the general propositions that produced such brilliant results when applied to general problems. That is why in our present life reckless audacity goes hand in hand, to an astonishing degree, with timidity of thought even when it comes to very minor changes. I think that this has happened in all really great revolutions, for really great revolutions grow out of the contradictions between the old, between what is directed towards developing the old, and the very abstract striving for the new, which must be so new as not to contain the tiniest particle of the old. And the more abrupt the revolution, the longer will many of these contradictions last. The general feature of our present life is the following: we have destroyed capitalist industry and have done our best to raze to the ground the medieval institutions and landed proprietorship, and thus created a small and very small peasantry, which is following the lead of the proletariat because it believes in the results of its revolutionary work. It is not easy for us, however, to keep going until the socialist revolution is victorious in more developed countries merely with the aid of this confidence, because economic necessity, especially under NEP, keeps the productivity of labour of the small and very small peasants at an extremely low level. Moreover, the international situation, too, threw Russia back and, by and large, reduced the labour productivity of the people to a level considerably below pre-war. The West-European capitalist powers, partly deliberately and partly unconsciously, did everything they could to throw us back, to utilise the elements of the Civil War in Russia in order to spread as much ruin in the country as possible. It was precisely this way out of the imperialist war that seemed to have many advantages. 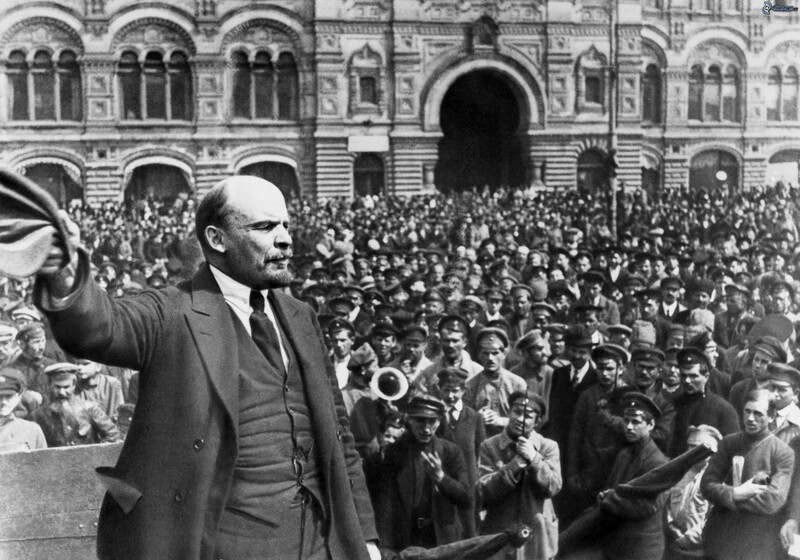 They argued somewhat as follows: "If we fail to overthrow the revolutionary system in Russia, we shall, at all events, hinder its progress towards socialism." And from their point of view they could argue in no other way. In the end, their problem was half-solved. They failed to overthrow the new system created by the revolution, but they did prevent it from at once taking the step forward that would have justified the forecasts of the socialists, that would have enabled the latter to develop the productive forces with enormous speed, to develop all the potentialities which, taken together, would have produced socialism; socialists would thus have proved to all and sundry that socialism contains within itself gigantic forces and that mankind had now entered in to a new stage of development of extraordinarily brilliant prospects. The system of international relationships which has now taken shape is one in which a European state, Germany, is enslaved by the victor countries. Furthermore, owing to their victory, a number of states, the oldest states in the West, are in a position to make some insignificant concessions to their oppressed classes- concessions which, insignificant though they are, nevertheless heard the revolutionary movement in those countries and create some semblance of "class truce." At the same time, as a result of the last imperialist war, a number of countries of the East, India, China, etc, have been completely jolted out of the rut. Their development has definitely shifted to general European capitalist lines. The general European ferment has begun to affect them, and it is now clear to the whole world that they have been drawn into a process of development that must lead to a crisis in the whole of world capitalism. Thus, at the present time we are confronted with the question- shall we be able to hold on with our small and very small peasant production, and in our present state of ruin, until the West-European capitalist countries consummate their development towards socialism? But they are consummating it not as we formerly expected. They are not consummating it through the gradual "maturing" of socialism, but through the exploitation of some countries by others, through the exploitation of the first of the countries vanquished in the imperialist war combined with the exploitation of the whole of the East. On the other hand, precisely as a result of the first imperialist war, the East has been definitely drawn into the revolutionary movement, has been definitely drawn into the general maelstrom of the world revolutionary movement. What tactics does this situation prescribe for our country? Obviously the following. We must display extreme caution so as to preserve our workers’ government and to retain our small and very small peasantry under its leadership and authority. We have the advantage that the whole world is now passing to a movement that must give rise to a world socialist revolution. But we are labouring under the disadvantage that the imperialists have succeeded in splitting the world into two camps; and this split is made more complicated by the fact that it is extremely difficult for Germany, which is really a land of advanced, cultured, capitalist development, to rise to her feet. All the capitalist powers of what is called the West are pecking at her and preventing her from rising. On the other hand, the entire East, with its hundred of millions of exploited working people, reduced to the last degree of human suffering, has been forced into a position where its physical and material strength cannot possibly be compared with the physical, material and military strength of any of the much smaller West-European states. Can we save ourselves from the impending conflict with these imperialist countries? May we hope that the internal antagonisms and conflicts between the thriving imperialist countries of the East will give us a second respite as they did the first time, when the campaign of the West-European counter-revolution in support of the Russian counter-revolution broke down owing to the antagonisms in the camp of the counter-revolutionaries of the West and the East, in the camp of th Eastern and Western exploiters, in the camp of Japan and the U.S.A.? I think the reply to this question should be that the issue depends upon too many factors, and that the outcome of the struggle as a whole can be forecast only because in the long run capitalism itself is educating and training the vast majority of the population of the globe for the struggle. In the last analysis, the outcome of the struggle will be determined by the fact that Russia, India, China, etc., account for the overwhelming majority of the population of the globe. And during the past few years it is this majority that has been drawn into the struggle for emancipation with extraordinary rapidity, so that in this respect there cannot be the slightest doubt what the final outcome of the world struggle will be. In this sense, the complete victory of socialism is fully and absolutely assured. But what interests us is not the inevitability of this complete victory of socialism, but the tactics which we, the Russian Communist Party, we the Russian Soviet Government, should pursue to prevent the West-European counter-revolutionary states form crushing us. To ensure our existence until the next military conflict between the counter-revolutionary imperialist West and the revolutionary and nationalist East, between the most civilised countries of the world and the Orientally backward countries which, however, compromise the majority, this majority must become civilised. We, too, lack enough civilisation to enable us to pass straight on to socialism, although we do have the political requisites for it. We should adopt the following tactics, or pursue the following policy, to save ourselves. We must strive to build up a state in which the workers retain leadership of the peasants, in which they retain the confidence of the peasants, and by exercising the greatest economy remove every trace of extravagance from our social relations. We must reduce our state apparatus to the utmost degree of economy. We must banish from it all traces of extravagance, of which so much has been left over from tsarist Russia, from its bureaucratic capitalist state machine. Will not this be a reign of peasant limitations? No. If we see to it that the working class retains its leadership over the peasantry, we shall be able, by exercising the greatest possible thrift in the economic life of our state, to use every saving we make to develop our large-scale machine industry, to develop electrification, the hydraulic extraction of peat, to complete the Volkhov Power Project [A], etc. In this, and in this alone, lies our hope. Only when we have done this shall we, speaking figuratively, be able to change horses, to change from the peasant, muzhik horse of poverty, from the horse of an economy designed for a ruined peasant country, to the horse which the proletariat is seeking and must seek — the horse of large-scale machine industry, of electrification, of the Volkhov Power Station, etc. That is how I link up in my mind the general plan of our work, of our policy, of our tactics, of our strategy, with the functions of the reorganised Workers’ and Peasants’ Inspection. This is what, in my opinion, justifies the exceptional care, the exceptional attention that we must devote to the Workers’ and Peasants’ Inspection in raising it to an exceptionally high level, in giving it a leadership with Central Committee rights, etc.,etc. And this justification is that only by thoroughly purging our government machine, by reducing it to the utmost everything that is not absolutely essential in it, shall we be certain of being able to keep going. Moreover, we shall be able to keep going not on the level of a small-peasant country, not on the level of universal limitation, but on a level steadily advancing to large-scale machine industry. These are the lofty tasks that I dream of for our Workers’ and Peasants’ Inspection. That is why I am planning for it the amalgamation of the most authoritative Party body with an "ordinary" People’s Commissariat. [A] The Volkhov Power Project was the first of the big hydroelectric power stations the Soviet Union built on the River Volkhov. Its’ construction began in 1918, but made little progress until after the Civil War ended in 1920. It was commissioned in 1926. Public Domain: Lenin Internet Archive (1999). You may freely copy, distribute, display and perform this work; as well as make derivative and commercial works. Please credit “Marxists Internet Archive” as your source.